It's Thursday and that can only mean one thing... it's Theater Thursday! 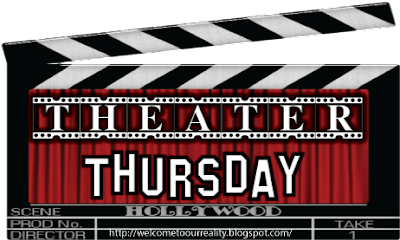 Every Thursday I pick one movie that I've recently watched and review it. Halloween is quickly approaching so this week's featured movie is none other than the classic, Halloween. 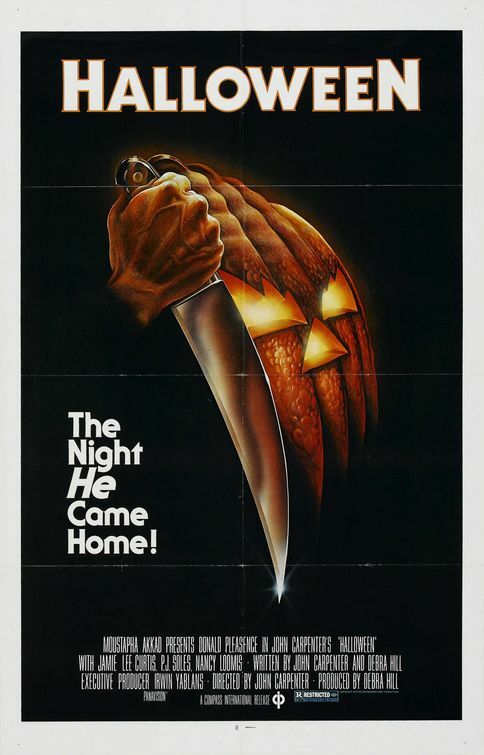 Halloween hit the theaters in 1978 and starred newcomer Jamie Lee Curtis as Laurie Strode. Laurie is your typical high school teenager living in the small town of Haddonfield, Illinois. This small town however, was the site of a brutal killing 15 years earlier. Judith Myers was was killed on Halloween by her 6 year old brother who was dressed up as a clown at the time. He was placed in a sanitarium where he remained for the next 15 years. He escapes the sanitarium on Halloween and heads back to Haddonfield. He then sets his sights on Laurie. Hot on Michael's train is his psychiatrist Dr. Sam Loomis. He anticipated that Michael would return back to his hometown and gets there in search of him. He meets with the local sheriff and both begin to look for him. Laurie and the town have no idea that a crazed killer is on the loose. Laurie has plans for Halloween... she's going to babysit young Tommy and Lindsey. Her friends are across the street hanging out but she's stuck inside and feeling uneasy. All day she felt like she was being watched. Young Tommy startles her when he makes a comment of seeing the "Boogyman" outside when looking out the window. What Tommy is really seeing is Michael. Michael then begins to methodically kill everyone around Laurie to get to her. Laurie will have to be strong if she's going to make it through this Halloween. The only two people who know that Michael is on the loose is the Doctor and the Sheriff. Laurie and her friends don't even know what their up against.